Federal Election Commission fundraising numbers are in for the PACs run by potential GOP presidential candidates and the big winner, at least this time, is former Alaska Gov. Sarah Palin. Former Massachusetts Gov. Mitt Romney raised $285,000 for his federal PAC between Oct. 14 and 22, while Minnesota Gov. Tim Pawlenty’s (R) Freedom First PAC raised $140,000. Romney also raised $273,000 for his state-level PACs. Previously, Palin was reported to have raised $469,000, a total that was aided by her book tour. Hundreds of fans showed up for Governor Palin’s book signing Friday evening at the last stop in her “America by Heart” book tour at a Books-A-Million in Columbia, South Carolina. Hundreds waited in the cold and rain to get a wristband and then to get Governor Pallin’s autograph. As at the previous stops in the book tour, fans were focused on encouraging Governor Palin to run for President in 2012. Despite strict security measures and rules, hundreds of fans of former Alaska governor Sarah Palin waited in the cold to get an autographed copy of her new book. Friday night’s appearance is Palin’s final stop on her book tour, which happens to be in the state that will host the first GOP Primary in the South. Palin has not yet said whether she will run for president in 2012. South Carolina has chosen the eventual GOP nominee in each of its primaries since 1980. About 600 people lined up at a Northeast Richland bookstore this evening waiting to get some face time with former Alaska Gov. Sarah Palin. The latest leg of Palin’s national book tour drew fans from neighboring states and Midlands admirers who stood in long lines over two days for the opportunity to have Palin sign their books. A half a day spent standing in line.Ten seconds of face time. Meeting a possible future president? Enough to give 17-year-old Josh Gilbon a story to tell for life. And to top it all, former Alaska Gov. Sarah Palin gave the Pelion teen a hug Friday during her book signing in the capital city. “I was happy Todd wasn’t there,” Josh said. He said that while he likes Palin’s politics and plans to vote for her if she decides to make a run for president in 2012, he’s also got a crush, a little less intimidating to admit when Palin’s husband, Todd, isn’t around. 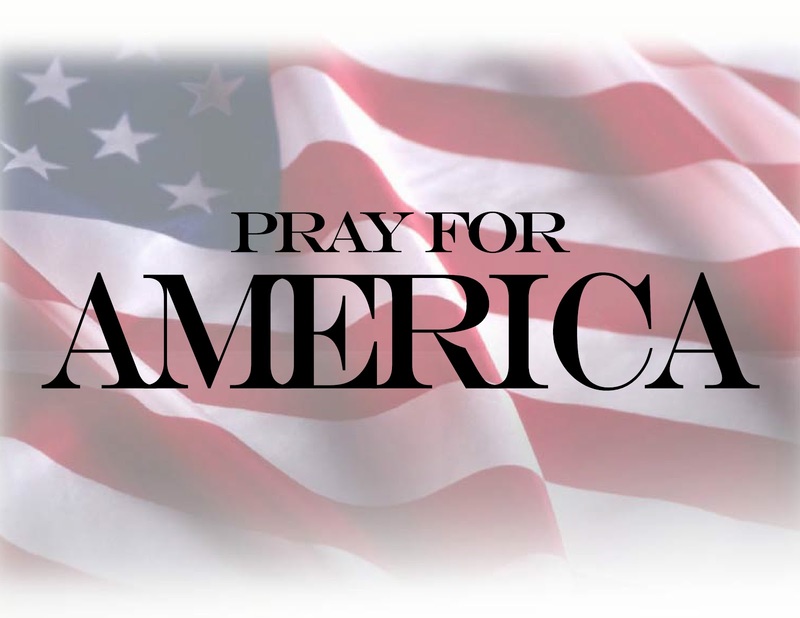 Palin, with her youngest daughter Piper, was in the state for the last scheduled stop on her tour to promote her new book, “America By Heart: Reflections on Family, Faith, and Flag,” what she describes on her Facebook page as a collection of essays and reflections about the country. Her visit, though, could also serve to drum up interest for a presidential bid. Courting South Carolina voters is key for any Republican who wants to win the White House. Since 1980, no Republican has gone on to win the nomination for president without first winning the South Carolina primary. Palin is an early favorite in South Carolina, with her endorsement of Nikki Haley’s successful campaign for governor turning into political gold. Haley, a Republican, will take office Jan. 12. An Election Day poll found more than 80 percent of Republican voters in South Carolina approved of Palin. Alison Trotter of Columbia got a little more time than most when she brought up a topic dear to Palin’s heart: children with Down syndrome. Palin’s youngest son, Trig, has Down syndrome, as does Trotter’s apprentice. Trotter is a Kindermusik teacher who is helping her apprentice follow in her footsteps. “I encouraged her to help Trig follow his lifelong passion,” Trotter said. Others came for the celebrity factor. Stephanie Johnson of Columbia said she followed Palin’s daughter Bristol on ABC’s “Dancing with the Stars” and has watched Palin with interest over the years. Johnson also wanted to get a signed copy of Palin’s book as a Christmas present for her uncle. “She’s got my vote,” Johnson said. 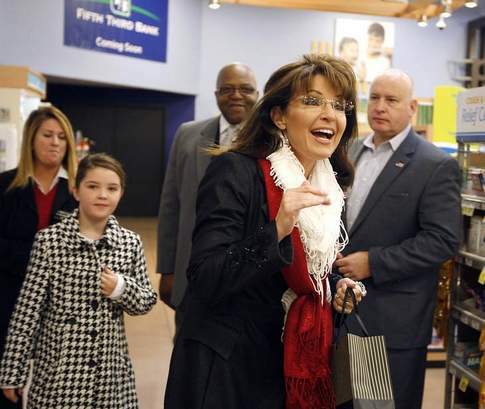 For a few hours Friday, a bookstore in Columbia became a little bit of “Palin Country” as the former Alaska governor wrapped up her latest book tour with a stop in a key presidential primary state. Sarah Palin signed copies of her book “America by Heart” in South Carolina, a state that has sided with the winner of the Republican presidential primary every year since 1980. Palin hasn’t committed to a presidential run in 2012, but she had people from gray-haired ladies wearing “The Arctic Fox” sweatshirts to a couple of people sitting in “Don’t Tread on Me” lawn chairs urging her to save their country. South Carolina will be the first state in the South to send its Republicans to the polls in 2012, and Palin is well-liked here. An exit poll taken on Election Day found more than 80 percent of people who identified themselves as Republicans in South Carolina approved of Palin. At the Books-a-Million in suburban Columbia on Friday, it was hard to find anyone who wasn’t planning on voting for Palin if she runs. “She’s so down to earth. She’s not like those other politicians. She’s someone that doesn’t show off and isn’t afraid to speak the truth to anyone,” said Pat Greenwood, who was getting her two books signed for her children. Everyone who walked up to Palin got a “Hi there! What’s your name?” followed by a million-dollar smile and a few seconds of chitchat. County music blared over the store’s loudspeakers as the line for Palin eventually snaked down almost every aisle. Anyone who wanted a book signed first had to wait for several hours in a damp chill to get a wristband Wednesday that ensured they would see Palin. Then, most of them lined up in the cold again for several more hours to get as close to the front of the line as possible. Martin’s husband picked up the bracelet for her. But she wasn’t going to miss meeting her hero Friday. The 36-year-old Navy veteran from Lexington was thrilled when U.S. Sen. John McCain from Arizona won the Republican presidential nomination in 2008. She became even more excited when she got to know Palin after McCain picked her as his running mate. “She just stepped into the spotlight and handled it great. And then I found out she had a child with Down syndrome, and I knew she was what this country needed,” said Martin, who has a 6-year-old daughter with autism. Martin brought along her 8-year-old daughter Lauren, who started liking Palin after watching her climb mountains and go hunting on her new reality show. “I’m going to ask her what it’s like to be a TV star,” Lauren said. Palin was last in Columbia in May to endorse Nikki Haley, now the governor-elect. A few weeks later, Haley knocked off three more established candidates to win the GOP nomination. Plenty of cars in the bookstore parking lot had fresh “Haley for Governor” bumper stickers on the back. Sarah Palin greets fans upon her arrival at Cincinnati book signing. Hundreds braved the freezing cold to wait, some overnight, to get a wristband for Governor Palin’s book signing at the Symmes Township Kroger in Cincinnati, Ohio. Shortly after arriving, she spoke to Local 12 TV and answered questions about her future political plans. Fans waited for hours in freezing temperatures outside a Symmes Township Kroger store Friday for a chance to meet Former Alaska Governor Sarah Palin. Palin arrived right on time, at 11 a.m., to sign copies of her new book this morning at the Kroger on Montgomery Road. Many camped outside Thursday night, braving temperatures in the 20s and snow flurries, to be assured of getting Palin’s signature on her book, “America By Heart.” Some came from as far as Columbus, Chillicothe, Toledo and Michigan. One 50-year-old man even drove six hours from St. Louis to get an autographed book as a Christmas present for his wife. David Richardson, 66, of Loveland who lined up outside the Harper’s Point supermarket at about 5:30 p.m. Thursday – 17½ hours before Palin was set to sign her book – believes he knows the answer [to what it is about Sarah Palin that inspires such commitment]. “I think she’s behind the single biggest change in politics and political discussion in the United States,” said Richardson, one of about 200 people who spent the night outside the Kroger to be certain of getting one of the 500 wristbands that guaranteed them a Palin autograph. When she arrived for the three-hour book signing, Palin said she was “just so happy and blessed” to be in Greater Cincinnati, joking she was enjoying the “Alaska-like” weather. As for the 2012 presidential race, Palin was noncommittal. “I want to be a supportive person,” she told reporters, adding she would be happy to support a strong candidate in sync with her thinking and issues. If no such candidate emerges, she added, “then I’ll take a look” at running herself. Doug White, 42, of Covedale, said if Palin does run, it would inspire him to register to vote – for only the second time in his life. The first, he said, was to vote for President George H.W. Bush in 1992. In Friday’s overwhelmingly white, middle-class and up crowd, Judah Lane and Kaylee Rayne – two Columbus women who refused to give their ages, but appeared to be in their 30s and early 20s, respectively – stood out in their goth outfits, facial piercings and, perhaps most notably, purple streaked and copper-colored hair. If their appearance was unorthodox, their attitudes were very much in the mainstream at the book signing. Cincinnati.com also has a photogallery of the Cincinnati event which can be found here. Yesterday I reported that America By Heart, Governor Palin’s recently-released book, was already a bestseller. I then received emails from some people–a.k.a. haters–who were truly disturbed by the news of more Palin success. They barely managed to recover from the incredible success of Going Rogue, so this continued fortune has them all wee-wee’d up. As you can see from the rankings, the NY Times did not place a dagger next to the book. What that means is that bookstores did not report receiving bulk orders. The Democrat Party is too stupid to recognize that the books that the Governor purchased for her PAC do not count in the overall sales for the purposes of the NY Times book rankings. Even liberal Taegan Goddard conceded this point. In other words, a politician can buy one million copies of his or her book for his or her PAC and it won’t count towards his or her book sales. Mitt Romney’s No Apology tops the New York Times bestseller list this week. However, a “dagger” symbol next to the book signifies that “some bookstores report receiving bulk orders.” Romney’s book actually has two daggers. In contrast, Sarah Palin’s Going Rogue never received a dagger next to its listing while a top the bestseller list in week 1, week 2, week 3, week 4, week 5 or week 6. Such is the case with the new book also. So another conspiracy theory bites the dust. While those who oppose Governor Palin at every turn try to find some shady reasons for her success, I can save them some time. People are actually buying the book because they want to hear from her, because they recognize she has worthwhile experiences to share with this nation, and because, let’s just face it, she’s a great American. You can order Governor Palin’s book here.